drivingandlife: INFINITI QX-50 - ITS NEW ENGINE IS A FIST IN THE AIR WINNER! 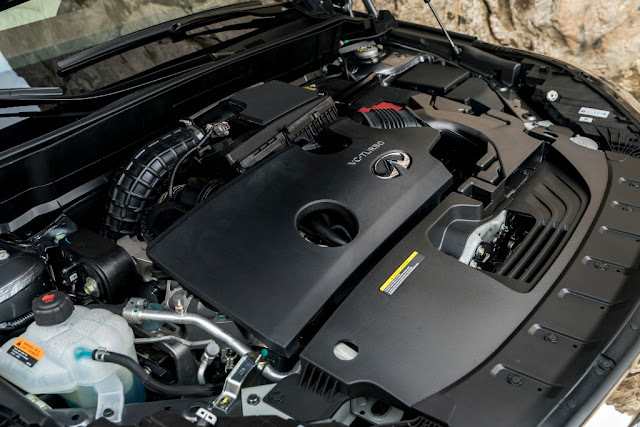 INFINITI QX-50 - ITS NEW ENGINE IS A FIST IN THE AIR WINNER! As the alternative vehicle lobby drones on, Nissan has sprung a big surprise on everyone with the release of the first modern engine that offers a variable compression ratio! Notice, I said modern. That’s because like everything else, Variable Compression Engine concepts have been around for a while. The first to actually work was developed by a guy called Harry Ricardo, in 1920. Other mainstream companies have dabbled in the deep space of this idea, like SAAB, PSA, Renault and Volvo. SAAB showed its version at the Geneva Salon in 2000; then a Finnish company, Waulis Motors showed its version in 2011. Both worked as desired, but commercial application eluded both companies, because of an unacceptable increase in manufacturing costs. 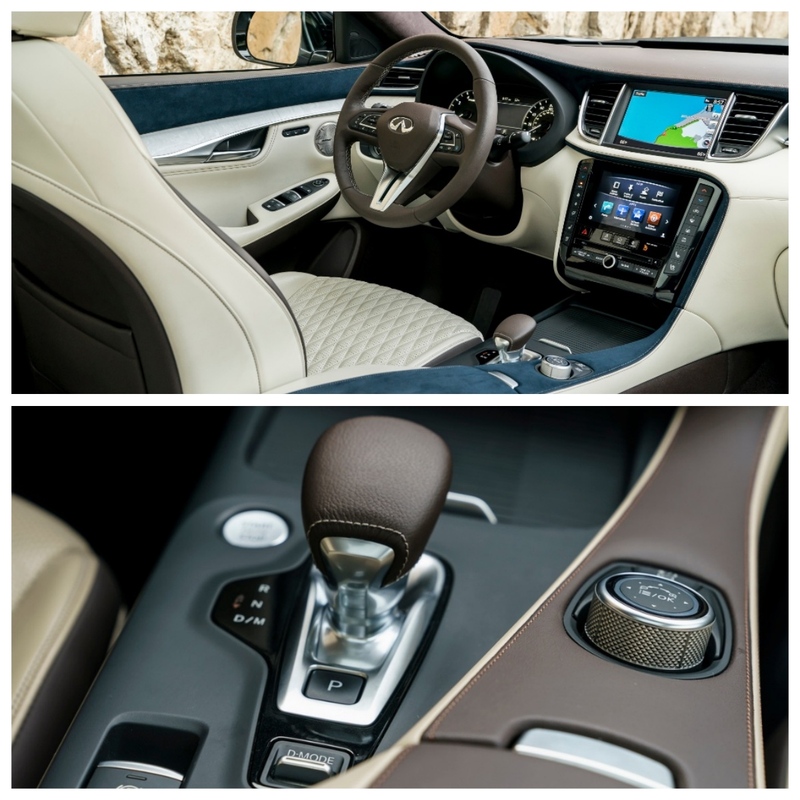 Now Nissan has broken through, with a commercially-viable design, and it makes its first appearance in the new Infiniti QX-50 SUV. First up, the vehicle itself. 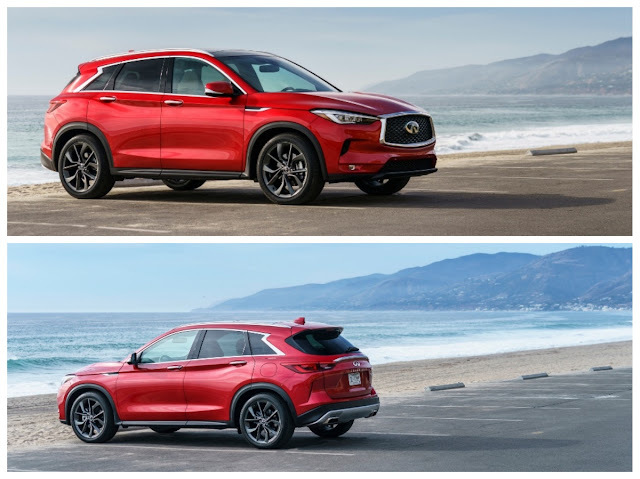 With apologies to Infiniti’s Head of Design Alfonso Alibasa, the QX-50 looks to me like a thinly-veiled copy of the Mazda CX-5. But, that’s okay – the Mazda CX-5 is probably the leading seller in the medium size SUV sector globally, and the Infiniti product is pretty easy on the eye. The interior is best described as beautiful. I think the interior team deserves a pat on the back. But, I guess this sort of smart, swishy clothing is what you pay for, when you buy an Infiniti. This technological breakthrough is, however, a bit confusing seeing as Nissan says all its Infiniti models will be electrified by 2021. However, a senior Nissan source says this new engine can be considered as a transitional move. Yes, Virgininia it IS a new engine design, but there's nothing to see here! Whatever, it’s new, exciting and it works. Early road tests say the changes in compression ratio (from 8.1:1 to 14.1:1) are imperceptible – which I guess is the idea. The 2.0L turbo delivers power, with economy, and is further evidence that there is a lot more potential in the internal combustion engine than people think – especially the electric car lobby. The early drive stories from the USA say the QX-50 is a bit ‘soft’ and lacks the precision handling of a performance car, but maybe Infiniti has tapped into exactly what buyers want – comfort over cornering ability. If the Infiniti brand survives in Australia’s cutthroat market I look forward to driving it. I will write about the details of the engine design later.